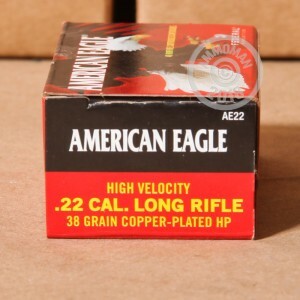 This .22LR ammunition from Federal delivers excellent performance for target shooting or hunting at a low cost. Each round in this box of 400 fires a light 38 grain copper plated hollow point bullet at a supersonic muzzle velocity of 1,260 feet per second. 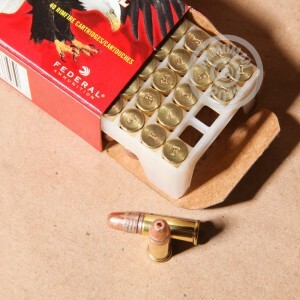 Federal rimfire ammunition is loaded in Anoka, Minnesota using rimfire primed brass cases. 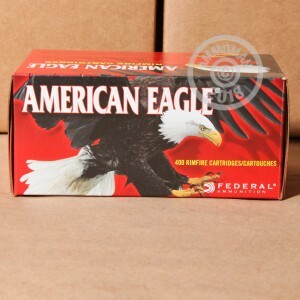 Buy a few boxes of ammo (any items totaling $99 or more) from AmmoMan.com to qualify for free shipping!